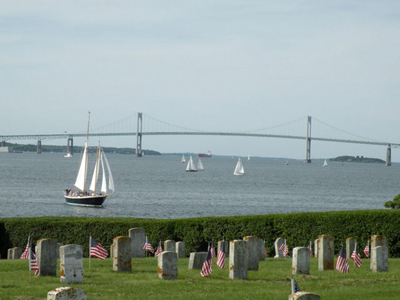 Fort Adams has played a huge part in the history of Newport Rhode Island over the years. It has also been a huge part of my family's history. 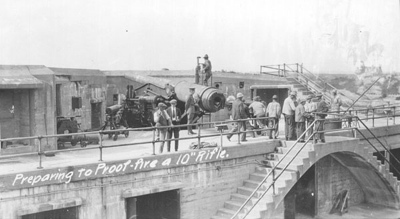 My great grandfather was a Master Sergeant who served and lived at the Fort, beginning in 1924. He lived here with his wife (my great grandmother) and 7 children. His son (my grandfather), served in the U.S. Army as well, and also served as the lighthouse keeper here. The Fort is also a great location to spend the day because you can do other things here such as fishing, picnics, soccer, rugby, kite flying and photography. Admission to the grounds is free (except during Festival weekends), so you can enjoy many of these activities without spending a dollar! 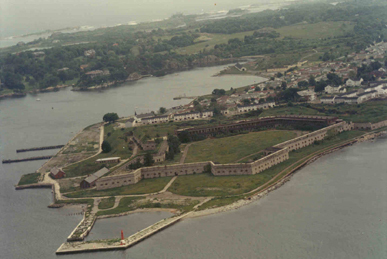 In a way, I feel that I grew up at the Fort too, because I've spent so much time there over the years. I can still remember my grandmother bringing me and my cousins here, and letting us explore the Fort as little kids. 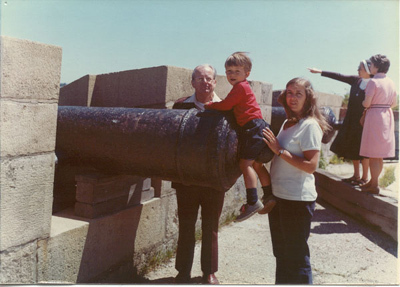 That's me in the picture below, with my mother and great uncle (who lived in the Fort), manning the cannon. No one dared attack Newport on my watch! As I grew older, there was always something fun to do at the Fort. My mother, grandmother and aunt would bring me and my cousins to the little beach here, where we spent hours in the water. In high school, one of my best friends lived in the Navy housing that is still on the grounds, and we always found somewhere new to to explore. In 1998, we had a family reunion here, at Eisenhower House (seen below), President Eisenhower's summer White House. It was the perfect location to enjoy a beautiful summer day with family. We toured the Fort, where my great aunt and uncle told stories of the family's history here. 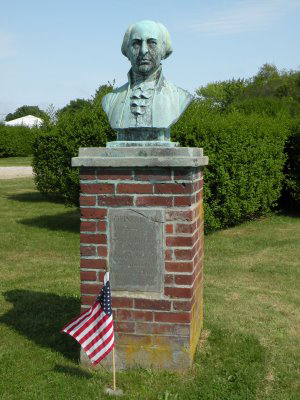 Later, we enjoyed a nice cookout on Ike's lawn overlooking Narragansett Bay. 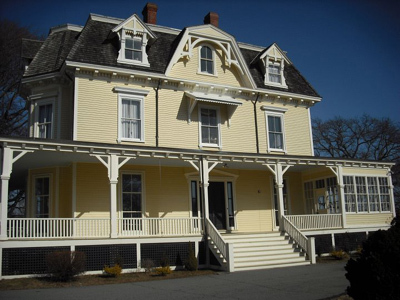 The Eisenhower House is a great location to hold an event, such as a wedding or corporate outing. It's a location with one of the best views in Newport, and at an affordable price. 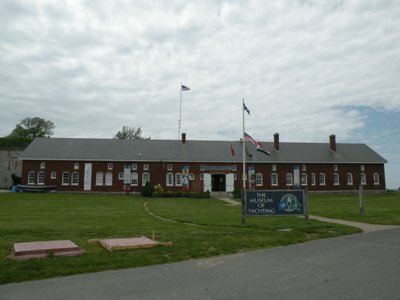 Although Fort Adams wasn't built at the time, this location saw some action in the Revolutionary War against the British, who eventually occupied Newport on December 8th, 1776. 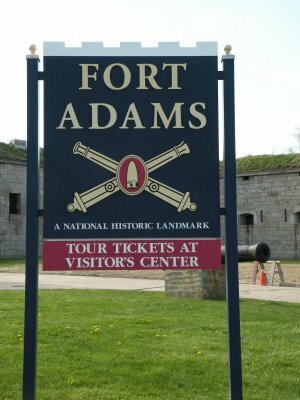 So, if you're looking for a biased opinion, I would say that visiting Fort Adams is one of the best things to do in Newport. There's something for everyone, adults and children alike. You've got history, scenery, festivals and much, much more. Want to see more photos of the Fort? Click here to see some more of my favorite shots.